"Now Known as Intelligent Hub - GREAT MDM"
One of the advantages of instituting Airwatch in your environment is that you get complete control and visibility into your company's mobile devices. Airwatch is compatible with almost any device so keeping track of large scale deployments can be made very easy with Airwatch. Not only is it an excellent device manager, it also indexes every bit of information about each device making it very easy to find device information. The one draw back to Airwatch is their support. Although they are effect when you get them on the phone, getting them on the phone is the hard part. Many times ive asked them to call me only during my working hours, (Which they ask initially anyway) however I will wake up to calls in the morning from Airwatch well before my working hours. This is my only gripe about this product. If you anyone is looking for an enterprise level MDM, Airwatch is definitely a good product to consider. There are many features that allow the product to be dynamic and cater itself for your company's business use. Having Airwatch in our company's technological environment allows us to track mobile devices used for operations as well as employee's company issued cell phones. Many times we will get requests to add WiFi passwords or applications over the phone which would require a technician to walk the end user through installing applications or inputting WiFi credentials. Now with Airwatch we are able to put devices into groups where we can preconfigure settings and streamline the way we give out devices. This allows us to save time when issuing new devices and sticking to device policies. "Does a lot not very good at anything"
I liked how AirWatch use to be before they were bought by VMware. I do like how easy it is to add apps. You can add App store apps. Mac apps and iOS custom apps. There is also a option for adding in house apps. Their support and Mac support is really lacking. I also don't like how the console is very buggy and can be hard to use. They seem to move things that causes issues with trying to find things. I wish they would keep it the same and easy to use. Get better support and be more clear on pricing . Add better Mac support and keep adding other platforms and refine refine refine. Make the console easier to use. Device management for iOS devices and Mac devices. We were able to solve the pass-code requirements. Wifi profiles with certs and ADCS. I was able to deploy apps to iOS and Mac devices. I was able to manage all of these devices. "AirWatch both meets and exceeds our endpoint management needs"
AirWatch meets and exceeds our needs for endpoint management. We have used AirWatch for 3 years and have been happy with the product and the support. I wish that the support had a faster response time. When then respond the support quality is great. We currently use the on-premise option, I'd recommend using AirWatch in the cloud. Using the cloud option keeps you from having to manage software upgrades, servers, and feature pack installations. We are allowing our users to feel safe using our company-owned devices without fear of data loss or being compromised. We have the benefits of being able to remotely wipe when necessary. We have the ease of passcode resets to keep devices from being wiped unintentionally. "Best in market for Enterprise Mobile Solutions!" You should try this product if you are big organization. Now you validate yourself and take decision wisely. Security is major concern earlier and it is now all complaint as per security guidlines. "THE way to manage mobile capabilites"
Allows our organization to quickly and accurately manage mobile capabilities. Updates can be pushed through and customized with ease. It's a 'grab it and go' type of app. Our users download the app and just leave it. It's very convenient. It's also non-intrusive which allows users to be comfortable with using it on phones that may be also used as personal devices. The app is at times a little buggy, sometime multiple loading screens will time out, but the issue will work itself out. In general, it would have been better to have the install app keep everything in app versus having links to the internet browser. If you want a simple app to manage mobile devices, this is your app. It is simple and allows users to just install it and leave it. We had a lot of issues with updating business phones with mandated software, now AirWatch allows us to manage everything remotely and conveniently. "AirWatch is a sophisticated but complex solution"
I like that AirWatch has so many features and that it supports so many platforms, including Mac OS, Windows, iOS and Android. The documentation and training are also very good. The platform seems to be extremely reliable. I dislike the complexity of the admin console. There's a lot of customization that's possible within the management console, but it also leads to a lot of different settings. I also wish that AirWatch had a more comprehensive set of Mac management features. I'd like to be able to use AirWatch as my only tool to manage the Macs in our organization. I also dislike the fact that we originally purchased the product directly through AirWatch, but they are now asking us to establish a relationship through a VMWare partner. Finding and engaging with a VMWare partner was a major inconvenience, but can understand that VMWare doesn't want to step on the toes of their channel partners by selling direct to certain customers. As mobile devices become a users primary device single sign on to mobile apps become a big deal. I think it's important to look at mobile device management and identity and access management solutions together, to ensure that they will work well together. In our organization we use OKTA, as our IAM solution, and AirWatch (now VMWare Workspace One Unified Endpoint Management), as our MDM solution. VMWare and OKTA are now working together to develop, document and support integrations between the two products, which is important to us. We were looking for a comprehensive MDM solution to manage and secure all of our computers, phones and tablets. We do not use Active Directory and are relying on our MDM solution to deploy all settings and enforce policies on all of our devices. The interface is clean and provides very good information on the device. We do not utilize many of the features that AW can do, but for the standard MDM functions it works quite well. The speed of the console (based on suggested recommended specs) is pretty poor. Updating Java is a pain, environmental variables have to be updated each time so this cannot be done automatically without denying access to your own console. These may not be concerns you have in a cloud environment. Use the cloud version if that is a viable option for your organization. On-prem version requires more upkeep than I would prefer and is a pain at times to upgrade. "300 iPods across 8 warehouses and tens of thousands of users"
sometimes pushing is tricky in single app mode and the device gets stuck in purgatory and must be wiped. it's the best one out there... if you need it get it, but there is not much competition out there to keep the customer service folks competitive. Airwatch allows us to lock down our iOS devices used for data collection and inventory purposes. We use it in conjunction with the Infinite Peripherals Infinea X sleds and iPods touches. I did like that it gave us the ability to manage large amounts of student iPads from a single dashboard. We were able to roll out apps to all users at the same time as well as manage the devices throughout the course of the school day. It seemed hard to use on a small scale that we have -- only 90 students or so versus a larger school or district. For a smaller operation as we are, it probably had more bells and whistles than we needed which led to more admin issues since we have a small staff. We did utilize it to manage large amounts of student iPads and roll them out in the beginning of the year. "MDM Solution for Managing Mobile Devices and Win 10 Laptops"
The ease of the User Interface and the technology involved in managing the mobile devices. WorkSpace One for containers so that data is not leaked out of the organization. If the agent is not contacted by the server for a period of more than 30 days there are issues in managing that device which is not good. Highly recommended for managing mobile devices, an additional advantage is apart from Android, IOS devices we can manage Windows 10 laptops and MAC OS as well. The solution is a bit expensive but the features provided are worth. Managing the mobile devices and also windows laptops, we can put restrictions on devices, having secure data, encrypt the data etc. Allow the users to use only what we want them to access and not to access anything that is not productive. WorkSpace One is a feature where containers can be created and used for secure access to organizations data. I like the way airwatch handles the mdm for apple products. Paired with Content Locked it is a secure convenient way to track and deliver information to users securely. I dislike all the issues we have had enrolling and managing Windows devices. We have spent a lot of time working with AirWatch getting it to where we wont but there is still some things that need to be done. If you are looking to manage Apple devices I you should have no hesitation. If you're looking to handle Windows devices I would first make sure they can do what you need. We are solving the issue of tracking devices, managing applications on devices, and distributing information securely to devices. "Good MDM Platform for Academic Setting"
The ability to handle multiple platforms. Our school uses both iPads and Windows laptops. We are a 1:1 device school. With the iPads I use Airwatch to manage applications by grade as well as home screen layout and specific classroom restrictions teachers request. At times I have difficulty finding the steps involved in a particular task I am trying to do. If you are technically challenged then be careful with choosing Airwatch. Although it is fairly intuitive for a technical person, a non-technical person would struggle. Be sure to identify what functionality you are looking for. Airwatch has a lot of capabilities that we do not use mostly because we were looking for a MDM that could manage multiple operating systems. Managing devices in a 1:1 K-8 school. Managing applications on the devices. Tracking devices when needed. Biggest benefit is the ability to lock a device when a student withdraws from school and does not return the device. Another benefit is the ability to keep track of the iPads via location services. A final benefit is the ability to create user groups and send apps to specific devices. Ability to manage devices globally. The support services, response is too poor, most of the issues are being blames as not supported by apple. consols changes so much between updates to a more complicated non user friendly look. tech support tries to replicate the issues but in production environment. Tech support almost never respond on the same day or the following one, sometimes it takes up to 5 business days to get a response. Tech always calls during business hours easter time, witch too easy or too late for any other time zone. The support team isn't up to supporting a strategic partner. "From an endpoint user's view, this program does not do what it says it does." That it almost keeps track of 15,000 iPads. Provides nice looking graphs (inaccurate, but nice looking). That the reports don't work, nor do the choice of reports make much sense. That the graphs aren't representative of the actual numbers that are being graphed. Find a competitor and have them demo everything that you want (in your environment) and then compare Airwatch. Make sure they show you how everything works in your environment. Ask them about their reports and about how effective their device location services are. Trying to keep track of and control about 15,000 iPads in a small 1:1 school district. We have some control over the iPads. So far our folks have not been able to easily push apps to various groups of students -so we can't assign certain apps to students in certain classes and then remove those apps when they are done with those classes. "Airwatch for android. Does what it says on the tin"
I hate to say it, but this was the product that made me kick my trusty blackberry into touch. It's a containerized email client, so it doesnt mix work and personal email like the iphone version of this. As a result, i'm engaging with my work device significantly more - and replying to some emails as i check out of hours. Principally directed at the iphone version. It lacks a lot of functionality in comparison to the android version. emails are jumbled together (Work and personal in the same container - mind you, some people like this - I just wish there was an option in the same manner as android). Activesync profiles on ios devices are located on the server; which requires a call to service desk if anything breaks. "Easy to use mobile management software"
the ease of managing the devices is great. Enterprise wipe is a great function for terminated users and lost devices. this make it safer for our data as we can remove it before disabling their accounts. We can also set device limits so the user are not spreading data to devices that need not exist. Enrollment process can be slow and fails somewhat often. You then have to remove the device from the server and start over if you have device limits. Consider not only the management of current users but the ability to wipe devices. This has been a lifesaver and now we are able to confidently allow users to user personal devices instead of having to supply company phones to them. If something happens we can rest assured that our data is removed form their device as well as removing their access from our systems. We are better able to remove our data from users personal devices once they leave the company or if they are terminated. We keep our data much safer by being able to remove it. This also works when the device is lost. We are then able to make sure that specific device cannot be connected back to the servers. "AirWatch is Great for Device and Application Management"
For us the best feature we like that AirWatch provides is the application management. We have a mobile app team that is working on several mobile apps that our sales force will need to install and use; AirWatch makes the deployment process much simpler than asking about 400 sales people to install an app on two of their mobile devices. We found that there's some issues with the remote management feature in AirWatch and some Galaxy tablets. The issues is that the screen is reversed when using the remote management feature which makes using it extremely difficult. The issue has been raised with the support, but as of yet haven't heard an ETA for the fix and that the issue is still under investigation. I would recommend doing a trail/POC to make sure that issues such as the one I described with the remote management feature doesn't impact your user base to the point where working with the solution is difficult. I also recommend creating a support ticket to see if their response time is adequate for your company needs. We resolved our business problem with deploying our custom (homegrown) applications and deploying them to our entire sales force. It's a great benefit and time saver to us to use AirWatch to deploy the apps to about 400-600 devices instead of asking every sales person in the division do install it themselves. "Airwatch, excellent solution for MDM and MAM (BYOD)"
Airwatch is very simple to use, and we control 1300 mobile device. AIrwatch it's an MDM but also MAM (mobile application manager) for the BYOD devices . For the BYOD it's possible create an "application bubble" that contain the airwatch's app, like Mailbox, Secure contect locker and airwatch browser. With this app, I open my office files and my mailbox, but the attachment are in the bubble and it isn't possible send to dropbox or another app, we have total control of attachment. The new mailbox client boxer it's very nice. AIrwatch it's simply to use, but it's complex to install (we have nine servers in our infrastructure only for air watch), I suggest you to use a professional partner for implementation. With an Airwatch component, MAG (mobile application gateway), we connect the browser of mobile device directly to our intranet. I like that if I was to lose my phone, or it was stolen that my company can remove any company resources from the device. I dislike that when you enroll a new device, sometimes it will change the default contact save to the airwatch server and if you forget to check it, users may lose contacts when removing management and application. Great for the purpose of not losing sensitive information, or at least having the ability to minimize this risk. "Easy to use, nightmarish to run"
I can access my corporate contacts and calendar on my device and it let's me interact with company resources from outside the office which is kind of a necessity for my position. Also, it makes it easy that I do not need to enter all the CalDAV and Exchange details in personally. It is very hard to get it working. The first time, I had to install and uninstall it on my phone about three times, having to restart after each uninstall to finally get it working properly. I had forgotten all about it, until I bought a new phone. Also, every 45 days, I have to change my password, which will invalidate the profile installed on my phone, and I have to reinstall the MDM profile manually. I do not know if this is a setup mistake on my company's part or if it is a faulty software issue, but it is just a nightmare. I would recommend exploring other options first. If you just need to get your email accessible externally, consider exposing an IMAP endpoint. If you just need your calendar, consider using CalDAV. It will add a lot of hassle, and many employees are just not willing to install additional software on their phones just to have access to their corporate data. I can now be in contact with my colleagues on the go, and this has increased my availability by far. I now am able to view my work schedule from home and plan accordingly, which is kind of nice. "AirWatch will get the job done!" AirWatch is an easy to learn mdm software to manage devices from different platforms. I should say functionality wise, its no different from any other mdm on the market. It gets the job done. One thing i like about it is its console interface, where the admins interact to manage the server and its devices. Security and features wise, theres a lot of growth to be considered. All in all, it gets the job done! The only down part for this mdm, is the knowledge base articles you can find on the portal. We have to rely on either experience or support from their engineers to resolve issues. Mdm solves the problem of IT pros to manage information on different mobile device platforms. A centralized hub like AirWatch will provide an overview of the device fleet, content management, and many more. "Its a neat tool with a clean interface." The console is well organised and easy to use. Search either by user or device and drill down further. For us, the app is hosted on the vendor managed cloud which eliminates monitoring. Product support is very responsive. It would be nice to have a commandline interface to perform certain tasks. At this point, we perform all troubleshooting in the console via the GUI. This tool is better than Intune at this point. Even with the connector, Intune does not have the functionality that Airwatch provides. The tool is used for inventory and software deployments to mobile devices ( phones and tablets) that connect to the corporate network. Airwatch enrollment is required in order to access corporate email on mobile devices. "Best MDM period. Growing pains." -Powerful clouded Web-Based management at your finger tips. -The most Senior of MDM platforms. Over the last few years has grown up added features. -The AirWatch cloud is shared environment with other clients. This often brings up a question of security with management. -Support can be flakey, if there is an issue outside their scope they tend to point the finger at Apple rather than finding a solution. Deploying software to Mac and Windows devices can be a challenge when those apps are not from a native app store. For Windows desktop apps MSI are fairly easy to use, but EXE based apps are must more complicated. Airwatch offers a single solution for managing and protecting mobile devices across all platforms. SaaS delivery for enterprise software since 2011. Relatively agile release process. Good account team. Responsive to our operational and strategic needs. Access to product team. Inconsistent quality of software releases, which has impacted our production deployment. Android Container app is not ready for prime time. Vision is strong, but ability to execute is not always there. Sometimes when we open tickets with their support team, they ask the most basic questions that they should already know about our environment based on history. If you just need simple MDM for email. contacts, and calendar for iOS, AirWatch scales very well and does the job. Android management could be better, but the fact that it does management all major platforms is a major plus for us as we strive to have a single management platform across all devices. "One of the Most Comprehensive (And Complicated) MDM Solutions Out There"
User, device, and application management featured with AirWatch provides options and customizations that I would have never even thought of. As an administrator, you have the ability to do almost anything you'd want to users enrolled in the MDM. You could spend hours and hours customizing the MDM setup for your company. While the endless possibilities and customizations are nice, it can be very daunting. I took a 3-day online training course on AirWatch and was still absolutely lost afterwards. There is so much customization and settings to configure that it can be very overwhelming. It is at times very hard to find a particular setting. Sometimes, I make changes that I didn't even realize would have an adverse affect on other features. Take it slowly and attempt to learn all of the features one at a time. There is so much customization and settings that it can be overwhelming. While the training I took was boring and tedious, it was helpful overall. We are using AirWatch in my client's ecosystem as a full MDM solution and to roll out enterprise applications. It has been able to do that with much customization and features. We haven't had many issues with our setup, other than the confusion that arises from the amount of customization available. It was used to replace a competitor's MDM solution and has proved to be vastly superior. "Many years of watching the progression of AirWatch"
The ease of use for new admins trying to setup devices. The support available over the phone helps with newbies and folks coming from other MDM's. Shared SaaS is not the way to go. Huge performance issues. It is well worth it to just go ahead and start off with dedicated SaaS from the beginning and never worry about performance. For the price and ease of use it is a must. Just using this for BYOD and deploying internal apps. I have brought in other admins and the learning curve is extremely short. Everyone is up and working within hours of first logging in. "Using Airwatch for 3 to 4 years"
AirWatch enterprise integration (CA integration in particular), AirWatch SEG, Exchange Certificate Authentication. The ability to disable activation lock is a time saving. Per-App vpn will allow us our users to transparently access internal servers. By regulation we are required to manage all mobile devices that could carry any organization's information. AW gives a better control over our Mobile device, and those User devices that are accessing our data. Having a log of wiped devices help us with audits. "Use for iPad and Surface Device Management"
Like the ability to push applications and settings to the devices. Deploying wifi network settings and removing unwanted applications are good features. Content locker is also a useful feature for our people who travel a lot. Not enough control over Microsoft surface devices and the airwatch agent has a lot of bugs. Also do not like that it requires you to upload ARM x86 and x64 versions of any application that you want to deploy for surface. should be able to deploy only desired architecture. Use the hosted solution. On prem implementation is not as easy to support. Use it to lock down and control our playbook devices for our players and scouts. "Airwatch has an easy to use console." I like the ease of use and the dashboard. We have the system to block apps during the school day. It has been the case where the students do not receive the block, allowing them access to all apps. We are a co-ed high school allowing students to download apps freely into their iPads. Being able to only allow school apps during school hours aids in the instruction and student learning. 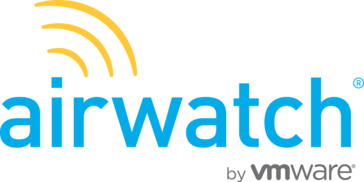 "Decent cloud-based solution for storing or sharing data"
VMware AirWatch, specifically AirWatch Content, is a decent application for cloud-base data storage. It is particularly useful for sharing data with people outside of an organization or for collaboration purposes. The option to access the stored data using web browsers, through a client installed locally on a workstation, or via a mobile app provides great flexibility to end users. Perhaps it's limited by the implementation by my organization, but the sync frequency of the AirWatch client (installed locally on a workstation) cannot be less than 1 hour. This means new content saved to the AirWatch content folder or uploaded through the web interface may take up to an hour before it is synced. For a cloud storage solution, this is a huge disadvantage because real-time collaboration and data sharing is not guaranteed. There are numerous cloud-based solutions available out there, whether it is an off-the-shelf or hosted solution, each with have strengths and weaknesses which will please some users and annoy others. AirWatch doesn't stand out from the rest but it is certainly comparable to other well known products of the same type. AirWatch is primarily used in our organization for groups to share data with those they are collaborating with that could be both internal or external to the organization. Previous solutions limited shared data access to users with an account within the organization, which makes it difficult to collaborate with external users. With AirWatch this is no longer an issue. Furthermore, it provide an alternative to using commercial cloud storage solutions, which could often be costly in the long run. It's easy to set up and deploy. They have an expansive knowledge-base via a my.air-watch.com account. Submitting a support request can be somewhat challenging. You have to navigate through their self-help steps before you can get to where you can just submit a support ticket. Be patient, take your time to go through all of the steps in setting up before you deploy. We prior to Air-Watch did not have Mobile Device Management. Air-Watch has helped us keep stock of our mobile devices, keep them up to date and keep our sales professionals out of the office and in the field. Airwatch is a simple tool you can manage your mobile devices. It is easy to manage Android and iPhone devices. Have a plan of attack with creating Airwatch groups to manage your devices to push application packages to . We are able to remotely wipe the devices of all business information if they are lost or stolen. AirWatch does really good job. IT not only allows you adding email profiles on the fly, but allows app management, restrictions. with this MDM you not only get the email on device bit but also other perks like content locker, where users can share and collaborate on files and more. The web management is sluggish. Sometimes freezes and you need to reload the website. Setting it all up doesn't take minutes and needs some getting used. Whilst working with smart groups one needs to be very careful as it might be destructive. Not newbie friendly. Mobile management and file collaboration. I've been using Airwatch for 4 years so far and one of the best things about it is their support. Any kind of problems I run into, they are more than willing to help address any of my issues. The product itself works great with iOS devices as well as Android devices. If you're looking for an MDM product that is easy to navigate through and get the job done, this is it. The only problems I've run into were random and could affect some people while not affect others. Depending on how you use Airwatch and what you want to get out of it, you may run into simple problems that only your company will have. Airwatch is not perfect and you will run into issues, but it shouldn't stop you for giving them a shot. Since being acquired by VM, I believe they will only get better in the future as they are always updating and expanding their product. We use Airwatch to secure our mobile devices such as phones and tablets. We primarily use it to receive email and VPN use. We've also implemented it to devices used in the business where we locked down the device so that only certain applications can be used. We've been able to minimize time helping out our patrons with Airwatch and has helped our customer service out tremendously. "Complete and total MDM solution"
My favorite ability of Airwatch is the layout of the webpage. It is very easy to follow and just the right amount of graphics to get the job done properly. The ability to navigate the webpage is very easy. The Airwatch client for Apple products is very easily installed and easy for the regular user to install without many complications. There isn't much that I dislike about Airwatch. Possibly the search box on the initial webpage is a bit misleading as there is another search box once you start drill down trying to find a user. I found this a bit confusing but easily figured it out and it's not really a major problem. This might even have been fixed in newer versions. I would highly recommend AirWatch to other users. The initial cost and install cost is high but it is a very well developed MDM solution. You will not go wrong using AirWatch. The support is also great and highly available for any situations that arise. We are solving the ability to manage our fleet of mobile devices under a secure blanket and track them as well for inventory purposes. The greatest benefit has been the ability to lock or remotely wipe a phone once a user has been terminated. "Grab control of your mobile environment"
Visibility to see what mobile users are doing and the ability to put controls into place. The web interface is a little scattered and can be difficult to find what you are looking for. For a small monthly fee the ability to monitor and control roaming fees alone has more then paid for itself. Managing our fleet of iPhones. To help prevent asset loss, data usage - especially roaming and managing general usage. It allows me to easily get all company apps, emails, and calendar events. Protecting company information and property. It helps secure PHI on devices and keep track of them. AirWatch is a great solution to implement a BYOD policy which allows you to manage firm email and security on personal devices. AirWatch isn't compatible with every device on an Android platform to use the native mail, calendar, etc. apps and sometimes needs a third party app like Touchdown to work. If you are looking to implement a BYOD policy for iOS and Android devices this is definitely the way to go! We're no longer in the business of providing mobile devices so the cost of maintaining a BES has been removed. It also is more convenient to our users to be able to send/receive email and manage their calendar from their personal device, while at the same time we are able to maintain security on the firm data and the user's device. "Phone app for document review at work"
Document likeness to actual software format on my phone. i am able to view in the actual software format and manipulate as well. accessing from email is also a plus. having to login each time. I understand this is part of security however it is very inconvenient when on my phone and not consistent with other passwords. saving documents can also be difficult to send via my phone. security feature requires login for each time which can be very inconvenient when on my cell phone. Would like a better option for this. mobile document review. ease of accessing documents from my email. While I like the document format, I do not particularly enjoy my experience when I have to download a document. "We use Airwatch MDM in my office"
Our end users need to have access to email and calendars while mobile. Airwatch allows us to maintain a great level of security with confidential information. All devices under one system. One system rules it all and keeps it organized. GUI interface is to much and unnecessary. Support is terrible. Managing mobile devices. Pushing content and apps. Location tracking. - cloud interface sometimes seems slow and wouldn't refresh properly. I have watched AirWatch evolving over a last few years and what they achieve is really impressive. I believe this product will get even better since it is now own by VMware. AirWatch's encrypted content container gives employees access to enterprise content on the go. It is very easy to use and content are prtected from data loss. There are size restriction i.e. no empty files and they can not exceed 2 GB but maybe that's just how it was configured in our environment and not a limitation of the software. Facilitate cross-functional team and vendor collaboration in regards to large scale content sharing. I love how you can add all of your mobile devices to the management system and keep tabs on all of them. It's a little time consuming adding all the devices and getting the little details squared away but well worth it. You might look around for better but you will come back to this because they're doing it right! The best part is that I can keep tabs on mobile equipment and remote wipe if I need too. "Best MDM in the business"
We've been using airwatch for years and love the reliability, features, and reporting. Like any product that is the top in the business....cost is always going to be higher than we'd like. We've been using airwatch for pushing aps to ipads/iphones and remote wiping, locating lost or stolen phones or tablets. AirWatch lets associates devices in one simple step, without the need for iTunes, or any such software. It has easy device management, secure, easy to configure and good support. Initially you will find the interface to be very challenging . They should make the interface easy for first time users. Sometimes configuration takes time and is difficult without their professionals. I use it to access to company email on the go, to GPS tracking, to email and SMS logging, all the way to the ability to grab phone screenshots!!! "Airwatch is a great mobile device management platform. " If there is a brief interruption while the end user is setting it up Airwatch will fire off a compliance violation. I like AirWatch. it is a great platform. "Great software for managing client software solutions"
Some of our client-facing users complain about having to go through the Airwatch client to install what they need, but it's a requirement. We enforce it. Keeping rogue software off enterprise devices. * We monitor all AirWatch reviews to prevent fraudulent reviews and keep review quality high. We do not post reviews by company employees or direct competitors. Validated reviews require the user to submit a screenshot of the product containing their user ID, in order to verify a user is an actual user of the product. Hi there! Are you looking to implement a solution like AirWatch?